The Aston Martin Vanquish was the last of the 'hand built' Astons at the Newport pagnall factory. Designed by Ian Callum, the car received additional kudos when chosen as the James Bond car in Die another day. The car was the first of true british 'super cars ' before the phrase became somewhat over used. 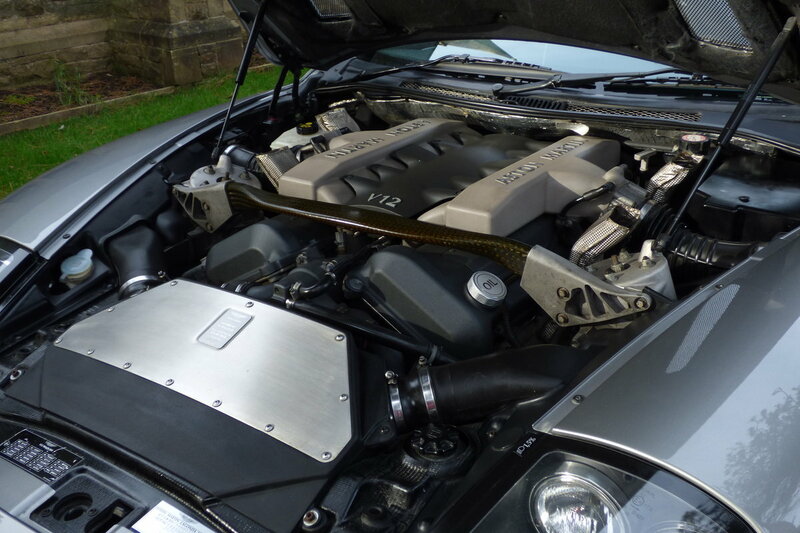 The Vanquish fitted with the immense V12 engine utilised a lot of cuttng edge technology which has subsequently been used and modified over subsequent years. 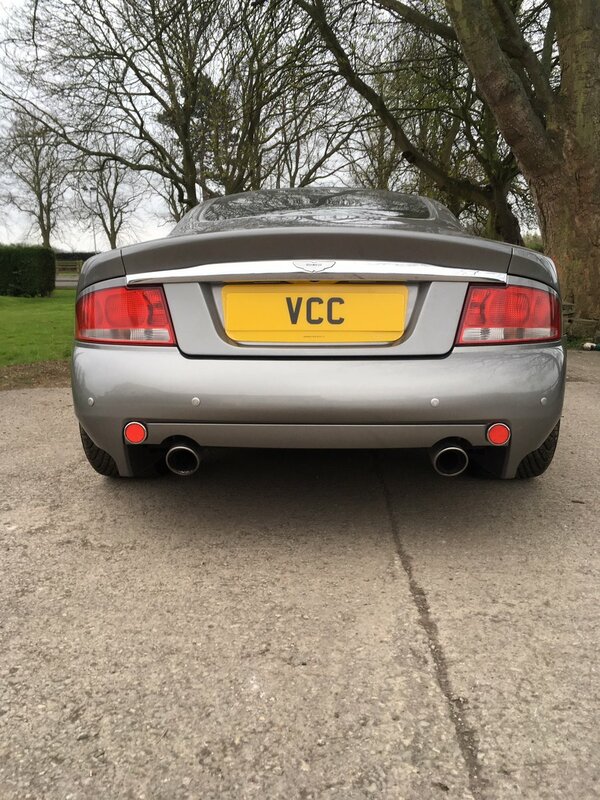 When you start the Aston up the Roar of that V12 as it is stirred into action is a truly wonderful sound. When you engage First gear utilising the clutchless paddle shift and pull away you can immediately understand why this beautiful car has been called a continent eater. whilst it is undoubtedly a very comfortable cruiser it is certainly no slouch and will get you to 60MPH in five seconds and go all the way up to 190mph! 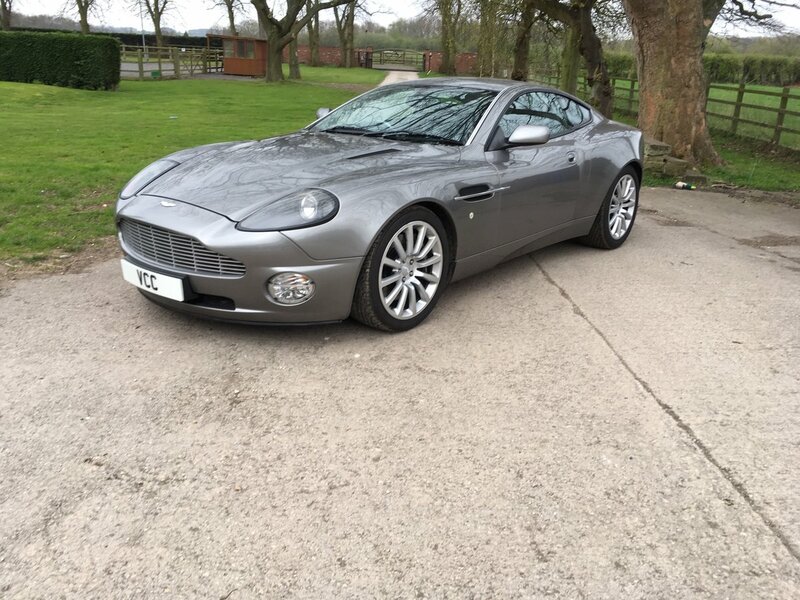 This Particular vanquish has covered 43000 miles, finished in the Desirable tungsten silver it is the 2+0 configuration so there is plenty of room for the luggage for those european road trips and weekends away. 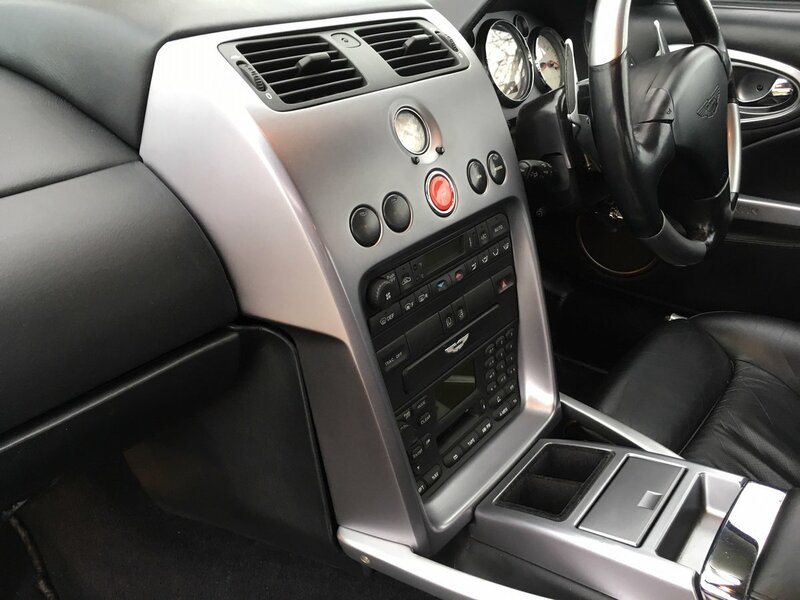 It has a comprehenasive history file detailing the previous owners and has recently been serviced and inspected by a renowned Aston martin specialist. This fine piece of appreciating collectable british motoring heritage is absolutely fantastic to drive, but the problem is it is also absolutley gorgeous to just look at and admire so that's a real quandry for you there. With summer coming and those road trips beckoning this is one to seriously consider. 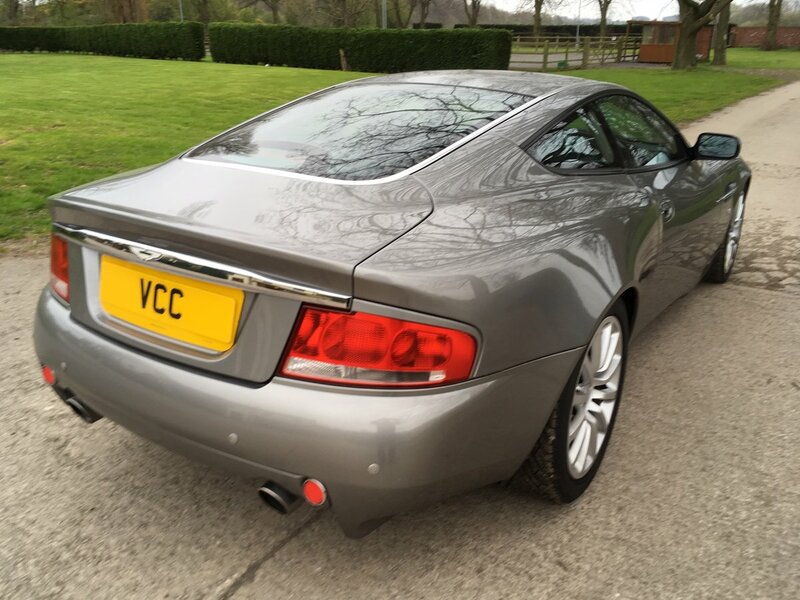 Vanquish S (originally US delivery) with only 7200 miles! Jet black with Black interior . Vin 501870 . Matching numbers German registration documents . 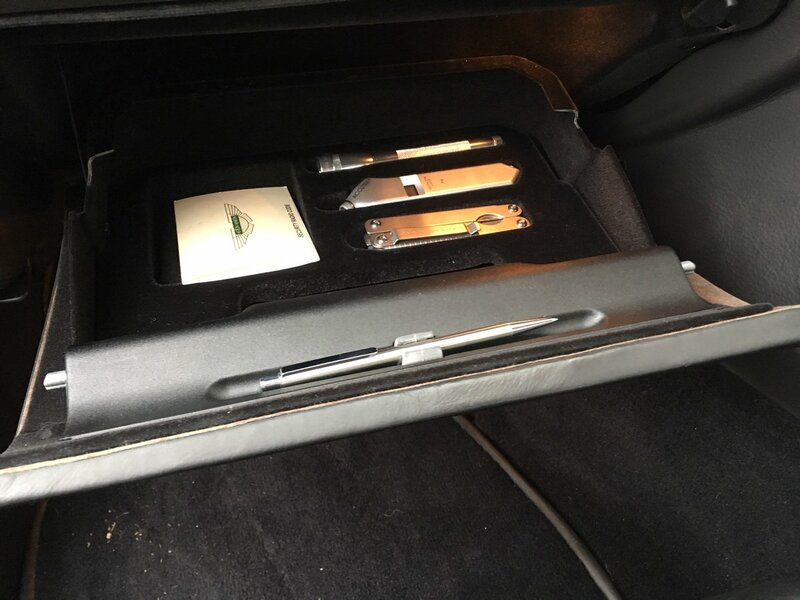 The car was registered in 2006 but is a 2005 model year. more info : 003238863910 .